With a stay at this apartment in Salamander Bay, you'll be a 5-minute drive from Dutchies Beach and 6 minutes from Tomaree National Park. 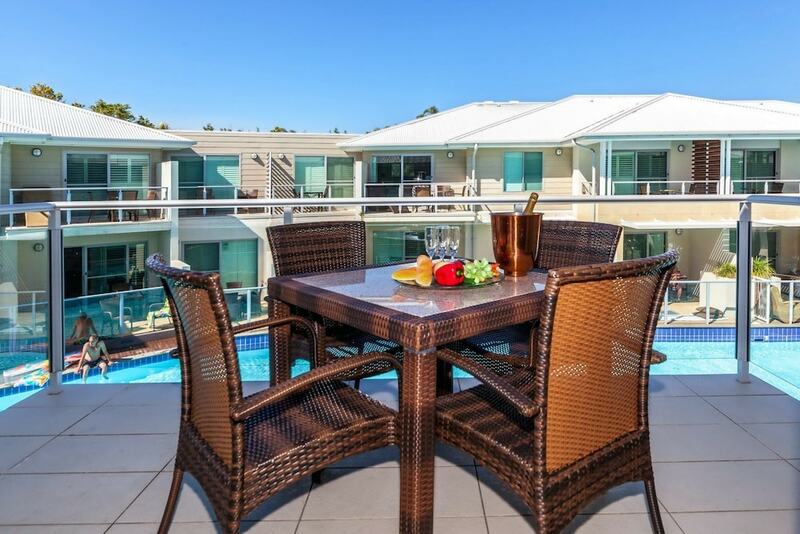 This 4-star apartment is 0.1 mi (0.1 km) from Myall Lakes National Park and 0.4 mi (0.6 km) from Salamander Bay Shopping Centre. Make yourself comfortable in this air-conditioned apartment, featuring a kitchen with a refrigerator and a microwave. There's a private balcony or patio. Cable programming along with a DVD player are provided for your entertainment. Conveniences include a coffee/tea maker and an iron/ironing board. Enjoy recreational amenities such as an outdoor pool and a sauna.